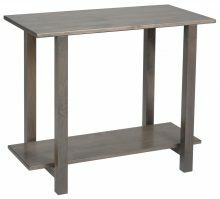 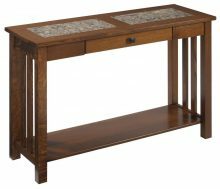 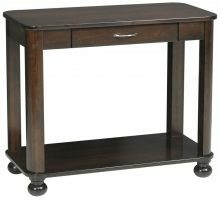 Your sofa provides an excellent focal point for your living room, but if you want to step up your decor even more, then a sofa table makes an excellent accessory. 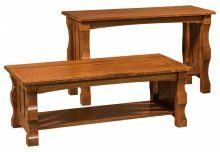 You can place these tables behind your sofa for an excellent place to put knickknacks, plants or framed pictures of your family. 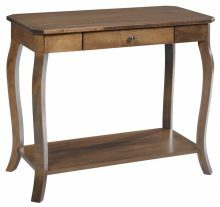 The sofa table will display these things at the perfect height, giving you an attractive way to show the things that mean so much to you. 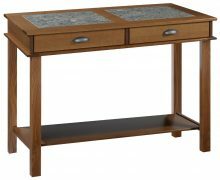 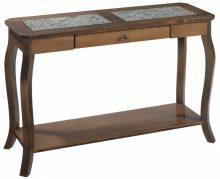 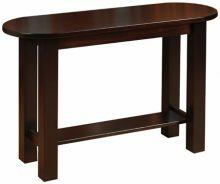 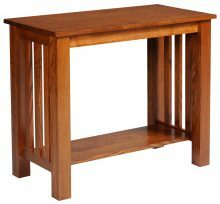 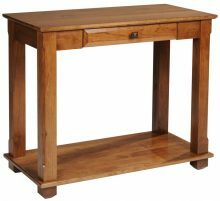 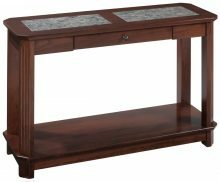 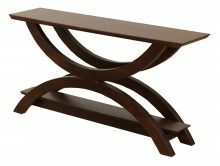 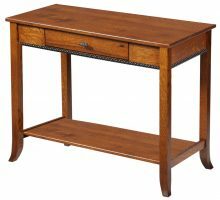 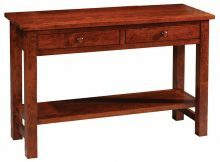 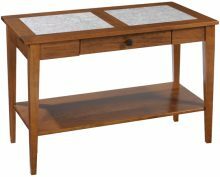 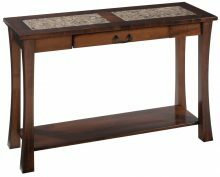 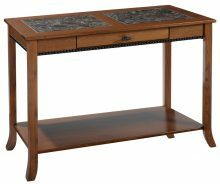 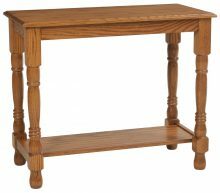 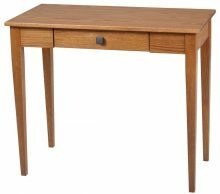 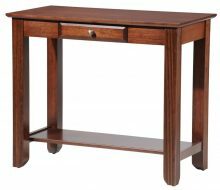 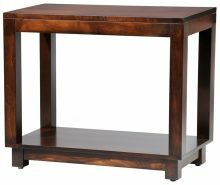 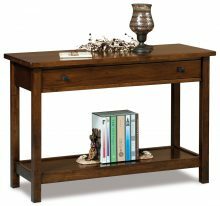 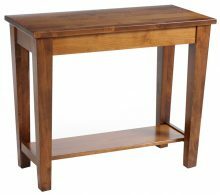 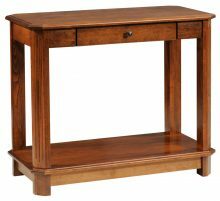 AmishOutletStore.com has an extensive selection of authentic Amish sofa tables with options to fit any style of living room, den or study. 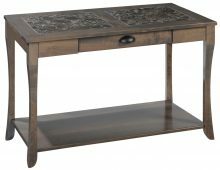 We have cabinets with lots of storage space, sofa tables with matching end and coffee tables, and Mission-style tables. 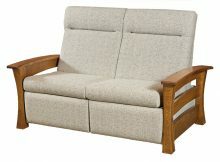 The wide assortment can also be customized to match your design tastes. 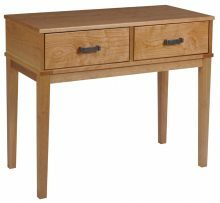 Stick with the lovely Brown Maple wood, or choose another type. 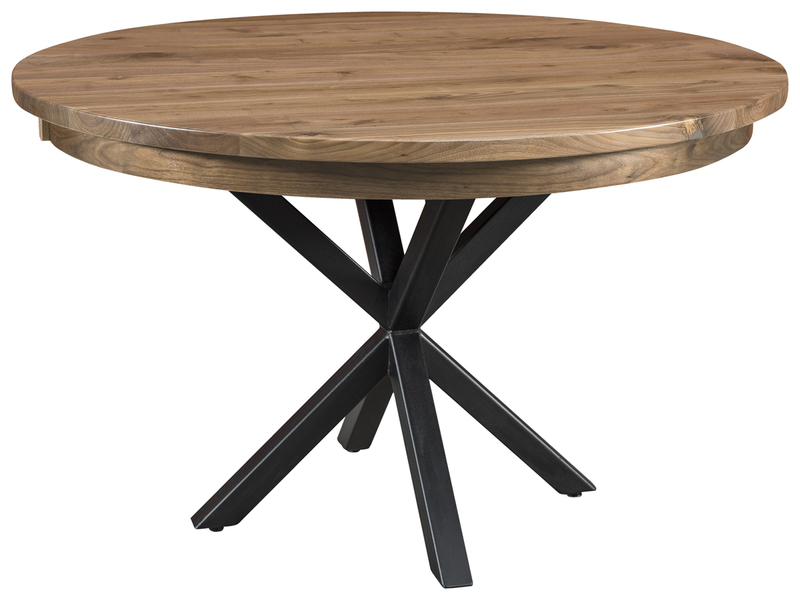 We can apply your choice of stain to the table, or you can stay with the natural grain. 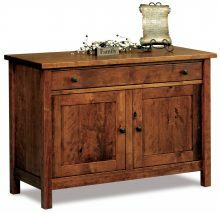 Amish-style furniture has become popular because of the beauty and high quality of every piece. 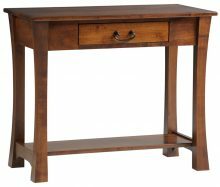 Our tables and other items are made by the Amish, who learned their trade by watching their parents and grandparents at work. 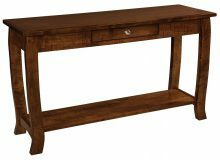 Our artisans absorbed the traditional techniques used by those previous generations and continue to use them today. 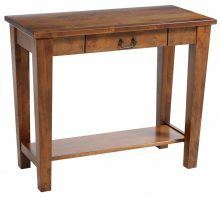 We sell heirloom-type furniture that will stand up for years to come, so you can pass it on to your children or grandchildren. 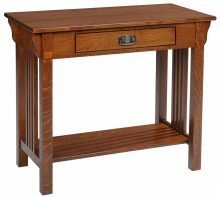 Get in touch today to learn more about our monthly specials or place your order for a sofa table. 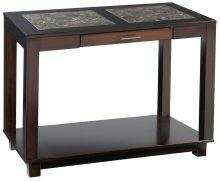 We offer up to 33 percent off our everyday prices.